Cornerstone Homes New York is a new home builder in the Syracuse New York area. With over 4 decades of experience in home building Kent Eshleman and Tom Peters, the principles at Cornerstone Homes NY, are pleased to be your builder of choice in Central New York. Our locally designed homes provide exceptional value with floor plans built for the way you live in the best locations. We offer two-story as well as ranch homes in a traditional colonial and craftsman style for the discriminating buyer. We build in award-winning communities or on your lot of choice in the most desirable locations in Central New York. We are committed to exceptional customer satisfaction before, during and even after the completion of your new home. As Warren Buffet says, “Price is what you pay. Value is what you get. Let us build you the Cornerstone for your life. Cornerstone Homes New York is building in the Farmstead in Clay NY, the Riverwalk community in Brewerton, and Kildare's Meadow in Brewerton. Future communities include Red Barn in Liverpool, NY and River Grove in Radisson, New York. 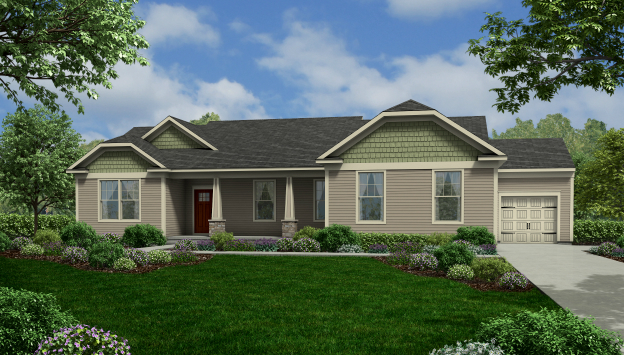 Cornerstone is building Ranch and Colonial style homes with a price point starting at $199,000 in Brewerton NY. For more information call 315-882-6610.